Veteran actor Anupam Kher on Wednesday was appointed as the chairman of Film and Television Institute of India. Anupam, who has been a former chairman of the Central Board of Film Certification and the National School of Drama, replaces Gajendra Chauhan who took charge on June 9, 2015. 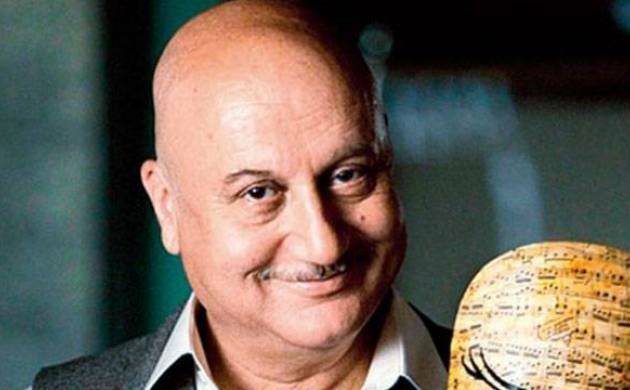 62-year-old actor Anupam Kher, a recipient of the Padma Shri in 2004 and Padma Bhushan in 2016, has left a distinct mark for himself in Bollywood for his roles in Saaransh, Daddy, Ram Lakhan, Lamhe, Khel, Dilwale Dulhania Le Jayenge, Maine Gandhi Ko Nahin Mara and A Wednesday among others. He has also proved his acting pedigree in international films like Bend It Like Beckham, Bride and Prejudice, Silver Linings Playbook and The Big Sick. In 2002, he went behind the camera for Om Jai Jagadish. FTII, an autonomous body, was in the past headed by legendary film personalities including Shyam Benegal, Adoor Gopalakrishnan, Saeed Mirza, Mahesh Bhatt, Mrinal Sen, Vinod Khanna and Girish Karnad.